David Silverberg is a poet, theatre artist, journalist, editor, event organizer, and producer. He is the founder of Toronto Poetry Slam and was director of two Canadian Festivals of Spoken Word in Toronto. His previous book of poetry is Bags of Wires. 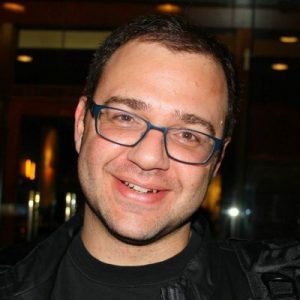 His solo theatre show Jewnique debuted in 2018. For more information visit www.davidsilverberg.ca.